The Penn State Branch of the American Meteorological Society and National Weather Association (PSUBAMS) provides meteorology students at Penn State informative and beneficial opportunities to gain knowledge of the meteorological community. To highlight the various aspects of meteorology, PSUBAMS takes advantage of speakers and events associated with areas such as private industry, government, academia, broadcast and communication, and weather risk management. PSUBAMS speakers provide realism and foresight to Penn State meteorology students striving to supplement classroom learning with real world advice. PSUBAMS ("The 'P' is silent!") 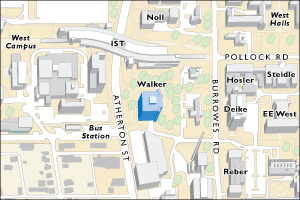 is an official student chapter of both the national AMS and NWA. This partnership with the two premier meteorological organizations allows us to work with them when organizing important events, most notably the national AMS Conference. Last year, in conjunction with Penn State’s other meteorology clubs, we successfully funded more than 35 students to attend the conference in Seattle, and we expect to have another large contingency at this year’s meeting in New Orleans. In addition, our affiliations allow members many additional opportunities for scholarships and recruitment sessions. Around the department, PSUBAMS generally holds meetings 1-2 times per month. We welcome in speakers from all across the meteorological community, including AccuWeather, the National Weather Service, local media, and many more. Last year, one of our largest events featured a presentation by the National Centers for Environmental Prediction director Dr. Louis Uccellini. These meetings are a great place to come together with faculty, staff, and other students to learn from some of the brightest minds in weather. Of course, we like to have fun, too! In addition to lectures and strictly career driven meetings, PSUBAMS also serves to strengthen the connections between students in the department. Our meetings are very relaxed and always have a few surprises. 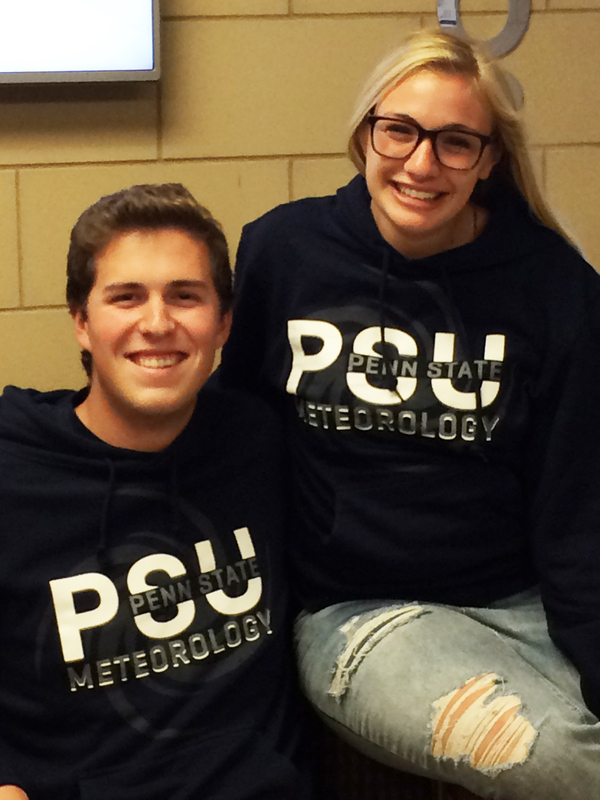 Outside of the classroom, we organize several fundraisers, including our Penn State Meteorology merchandise. T-shirt design contests are held every year, and we also hold an annual photo contest, with the winning photos being featured in the annual PSUBAMS calendar. One of our favorite traditions is Night Out at the Ballpark, where we all cheer on the State College Spikes (Class A affiliate of baseball’s Pittsburgh Pirates) at Medlar Field at Lubrano Park. It’s a great way to meet people right at the start of the new year! We are also active in the community, coordinating school visits and other outreach projects. PSUBAMS hopes to continue to provide Penn State Meteorology students with enriching experiences for years to come.